The Dallas Paint & Coatings Association was founded in 1923, as the North Texas Chapter of the National Paint & Coatings Association. Our primary purpose is to serve as advocates for the Paint & Coatings industry before federal, state and local regulatory agencies. Our membership consists of paint and coatings manufacturers, raw material and equipment suppliers and distributors. We take pride in promoting our member companies as responsible corporate citizens in our local communities who provide steady employment, invest heavily in training, facilities and equipment in order to provide a safe and environmentally friendly workplace and who are responsive to local community needs and concerns. The DPCA also provides forums for manufacturers and suppliers to become better acquainted and improve their understanding of mutual needs and capabilities. In this regard, we enjoy cooperating with the Dallas Society for Coatings Technology, the Texas Paint Council and the Oklahoma Paint & Coatings Association. We hope our co-sponsored events give members a better and more informed perspective of the great industry we all serve. 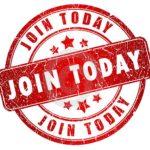 Please click a button to learn about our people, activities, news or becoming a member.